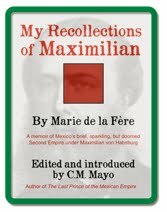 Guest-blogging today is my fellow Mexico aficionada, and Editor-in-Chief of the Encyclopedia of Latin American History and Culture, historian Tasha Tenenbaum. An honor indeed. (Note that I myself inserted the links--- many to wikipedia--- not knowing whether Tasha would approve!) Over to you, amiga! During the week of March 11 of this year, the Library of Congress sponsored a series of programs looking at two major Mexican composers-- Carlos Chavez (1899-1978) and Silvestre Revueltas (1899-1940). As part of that event, I gave a paper, "Mexico in New York, 1940," which looked at a major exhibition of Mexican art 1200 B.C. to 1940 at the Museum of Modern Art (MOMA) in New York and the concerts conducted by Carlos Chavez there. Reporting on these events showed me how Mexico is consistently presented as "folkloric," and kept apart from the designation of "world-class" in the places that matter in the art world. And, it made me angry as it should you. As I went over the history, I discovered that the MOMA had given its first one-man-show to Henri Matisse, but its second to Diego Rivera in 1931. Its third featured Pablo Picasso. Had Rivera not insisted on painting the portrait of Lenin in his mural at Rockefeller Center, he would have been well on his way to becoming a major international artist, and perceived that way by the rest of the world. Dozens of walls would have been open to his genius. No less than the Library of Congress might have been graced with his designs, and hundreds of visitors would have come there to see them. Of coure, that's all speculation since we know he painted Lenin, and the mural was destroyed. The important lesson is that in the early 1930s art connoisseurs recognized that Rivera was in the same league as Matisse and Picasso. So, what happened? The simple answer is politics. Rivera painted Lenin; President Cardenas expropriated the oil industry; and Mexican art was exhibited to emphasize "artesanias." A more complex answer would include the overarching concept that the centers of cultural power would only recognize the artistic production of Europe at that time. As for the so-called Third World, well that's relegated to a niche described as "folkloric," or "Latin," but certainly as something exotic. The week after the wonderful concerts featuring the music of Chavez and Revueltas, the "New York Times Magazine" published an article in its art issue entitled "After Frida." It featured Mari Carmen Ramirez, the Latin American curator at the Houston Museum of Art. The article contained lengthy quotations from Ms. Ramirez in which she notes that Frida Kahlo was a bad painter and that the Brazilians Lygia Clark and Helio Oiticica are replacing Diego and Frida as the Latin American art couple of note. I sent in a letter explaining that Latin Americans shouldn't have to denigrate each other to attain recognition in the art world. Or do they? Perhaps I am more sympathetic to Ms. Ramirez' point that I'll admit, but for different reasons. If so, it's only to insist that in the current climate, it's time to expand international consciousness of what's great. If the world is really getting smaller thanks to computers and the search engines they use, then the canvas has to get bigger. There really is room for Rivera and Kahlo AND Clark and Oiticica in the universe that cyberspace has given us. Madam Mayo says: I'd add Luis Nishizawa to that list. If you're in Mexico City, you can still catch his breath-taking exhibition at the Palacio del Arzobispado. Via blogger Swissmiss I found this video. He says he didn't really make them wear clothes. More on writers's blogs! As many of you know, I'm gearing up for a workshop on this very subject for the May 3rd Maryland Writers Association Conference, apropos of which, last Friday, San Francisco-based "Right-reading" blogger Tom Christensen offered his do's and don'ts--- if you missed that excellent post, be sure to check it out. 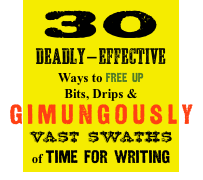 Today, my amiga, novelist, short story writer, workshop leader and all around outstanding blogger, Leslie "Work in Progress" Pietrzyk offers her 3 dos and 3 don'ts. Over to you, Leslie. 1. Keeping the site updated on a regular basis. Why should I return if there’s nothing new? 2. Providing information that is interesting, useful, or really funny. I like getting a sense of the blogger’s personality and life, but I also want to be gaining useful information about the blog’s topic. Yes, there are some blogs that I read just because the writing is hilarious: The Fat Cyclist is about biking, and I don’t even own a bike or want to. But please keep the rambling about your trip to the grocery store to yourself (unless you’re funny!). 3. Indulging in a few off-topic obsessions. This may seem to contradict #2, but I enjoy feeling that there’s a person—complete with quirky taste—behind the magic curtain. So whether it’s the Tour de France (The Elegant Variation), your crazy upbringing in Florida (Maud Newton), or pugs (you know who! ), please don’t be afraid to give us a glimpse of who you are. It’s just a blog; have fun! 1. Being too, too cozy with a select circle of friends (often other bloggers) so that the average reader feels as though she’s accidentally stumbled into the “cool kids” bathroom in high school. 2. Abusing my trust. If you write that you love a book, please do so because you love the book, not because you got a free copy from a publicist. Or, at least admit that you’re shilling. 3. Absolute self-absorption. I’m happy you have a book out; I really am. But if that’s all there is to your blog—YOUR book, YOUR readings, YOUR conferences, YOUR mother loving the book—I am going to move on. Please learn to promote yourself shamelessly in a discreet way. It is a filter. You want to know what blogs to read? Come see what I recommend here and here and here. Want to find out about some extraordinary books? Try this 1,000-year-old apparently true adventure that almost defies belief and Hypnerotomachia Poliphili and all 10 of these. And how about this mind-blowing (literally) video, this Icelandic movie and this sleep-inducing CD and the magic Baby Muse... I blog about my books, events and workshops (yeah, I'm flogging) but also, generally, my interests, my tastes, what I want to share (e.g., "All Hail E.T., Minister of Information!") and celebrate (e.g., Mexico's beloved English eccentric's masterwork, "Las Pozas"). If you don't like it, fine, there is an ocean of blogs out there, wade in. Why not start your own? Excerpted from "On the Occasion of Madam Mayo's 2nd Anniversary: 5 Lessons Learned (So Far) About Blogging"
--->Click here to return to Madam Mayo's home page. Re: my upcoming panel on "Writers's Blogs: Best (& Worst) Practices" for the Maryland Writers Association Conference on May 3rd, I'll be blogging about writers's blogs for the next week, and inviting other writers to offer their tips. Tom Christensen's eclectic and charming, always suprising, and beautifully written blog, Right-reading, is so outstanding that I recently included on my list of top 10 writers's blogs. A delight and honor it is to host this post! Over to you, Tom. Just as there is no one way to write a novel, so there is no one way to write a blog. I imagine Joyce's blog would look a lot different from Proust's, or from Kafka's, or from Celine's, and so on. But I would subscribe to all those feeds. That said, there are a few things that I think can limit or expand a blog's interest, effectiveness, and reach. Following are three dos and three don'ts to consider in developing a writer's blog. The approach that is usually the least appealing and most limiting is the navel-gazing diary--- what I had for dinner, what I'm listening to on the radio, which friend I am annoyed at, me, me, me. I suppose this could work if you are a really celebrated and fascinating person, but for most people, unless you are simply writing for friends and family, being too self-referential is a common, and deadly, mistake. How tight does the focus have to be? I think my blog.rightreading.com suffers a little from having a focus that is not especially rigorous. I address all aspects of print and electronic publishing, particularly editorial and design, which are seldom fully integrated. As a generalist, I find it difficult to get much more narrow than that. 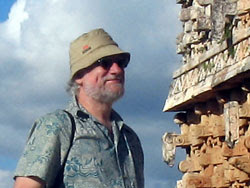 Still, I did spin off several other blogs-— on Asian art (7junipers.com), on Mesoamerica (buriedmirror.com), on northern California (friscovista.com). These are all things I am interested in that I thought would be better off having their own domains rather than mucking up the content at rightreading. Am I talking too much about myself? Whatever the topic, you have to have something original to offer. Some bloggers do succeed as aggregators of content produced by others, but I think it is more difficult to get by with that approach than it used to be. Sure, many posts can consist of passing along items spotted elsewhere, but unless you create some original content with a unique point of view, it will be difficult for the blog to grow. Some web marketers like to talk about "link bait." While the term sounds a bit cynical, it encapsulates an important truth. If you have at least one excellent piece of content that will draw readers to your site, that can help to unmoor the blog and carry it into deeper waters. Rightreading gets more visitors than my other blogs in part because they are drawn to popular pages on how to get a book published, Taoism and the arts of China, my book publishing glossary, my rendering of the Yi jing, and more. It's good to distinguish between print content and web content. Broadly, print is about sustained concentration; the web is about instant gratification. While some bloggers-— Conrad Roth (http://vunex.blogspot.com/) and Gawain (http://heaventree.blogspot.com/), for example-- manage to sustain excellent blogs built on the model of the literary essay, these writers are battling the basic nature of the medium. It is better, I think, to keep things short and sweet, for example by breaking up print paragraphs into two or three web paragraphs. Corporate bloggers often fall into this trap, and most publishing companies are among the worst offenders. When blog posts are always pushing a product, they push readers away. Consider Veer, a good example of a smart corporate blog (http://blog.veer.com/)-— it rarely promotes its own products. It is entertaining and informative, so it attracts readers. Mention your own articles and books, but be judicious-— limit those mentions and keep them pertinent. Try to look at the blog as the product, not as a vehicle for promoting the product: that is how your readers will look at it. If your blog becomes a destination you will earn links and rise up in the SERPs (search engine result pages). Have you heard the new blogger's anthem (http://www.catbirdseat.org/catbirdseat/aug06/blog.mp3)? Especially with a new blog, you have to be patient. Search engine specialists argue about the nature of a possible Google "sandbox"-— a holding area to which new websites may be assigned for months before they are allowed into the top-ranking SERPS. What is clear is that you need to establish trustworthiness (to build up your "trust rank" in web lingo) before you can consistently rank well for most search terms. That means acquiring links from established authority sites in a natural pattern (certainly not by buying irrelevant links en masse, a technique that might have worked in 2002). One of the best way to acquire links is to participate on other blogs and forums. By that I don't mean making a quick self-promoting comment on somebody's blog (which is likely tagged "nofollow" in any case), and then never returning, but instead actively participating in web communities. When the conversation comes around to topics on which you have made good posts, you will get links. Old-media types look aghast at bloggers providing links that lead readers away from their websites and off to other areas. And some SEO (search engine optimization) specialists are leery of squandering page rank by leaking away link juice. These approaches will not work. You must credit your sources and link to excellence whenever you can. Most people will notice when you link to them, and they may reward you with a link back. Your "link neighborhood," the constellation of sites you link to and that link to you, says a lot—- both to your readers and to the search engines-— about the nature of your blog. It's karmic-— if you are generous with credit, praise, and links, I promise you will be repaid. ---> For more of Madam Mayo's guest-blog posts, click here. ---> For Madam Mayo's archive posts on lit-blogging, click here. And along with G.C. Waldrep and Jane McCafferty, Yours Truly is serving as one of the judges this year. For those thinking to submit a manuscript: Nancy asked me a few questions here. Anyone who has been lucky enough to meet Grace Cavalieri--- or, luckier still, hear her read her poetry--- knows what a light-filled soul and gifted artist she is. It is a very special honor to have her blogging here today. A brief bio: Grace Cavalieri is the author of fourteen collections of poetry, including children's books. Her latest publication is Anna Nicole: Poems (pictured, left). Cavalieri's plays include off-Broadway productions. She's also written texts and lyrics performed for opera, television and film. Her 21st play "Quilting the Sun" was presented at the Smithsonian Institution, and received its world premiere at Centre Stage, S.C. Grace teaches poetry workshops throughout the country at numerous colleges. She produced and hosted "The Poet and the Poem," weekly, on WPFW-FM (1977-1997) presenting 2,000 poets to the nation. She now presents this series to public radio from the Library of Congress via NPR satellite. Grace has received the Pen-Fiction Award, the Allen Ginsberg Poetry Award, The Corporation for Public Broadcasting Silver Medal, and many, oh so many, others. She writes full-time in Annapolis, Maryland where she lives with her husband, sculptor Kenneth Flynn. Over to you, Grace. I chose 5 great practitioners in the arts because I love to surround myself with energy and light. When I associate with artists who are venturesome and vivid, my own dreams and desires manifest. I love these 5 guys. I asked each artist to describe his/her site. First, I wish to introduce the work of Holly Picano, a meteor on the art scene. She says, "I capture people's feelings through the expressions and colors that I paint. I enjoy catching the flirty side of life in my subjects." And if you want evidence, click this! What I’d like to add is that Holly is the preeminent portrait painter of celebs in our country and did the portrait cover of my new book, Anna Nicole: Poems. We had a great month looking at her sketches and bantering about earrings and things. And she got it perfectly. On The Mark. So I salute Holly for bringing my Anna to life with humor, style, dignity, and radiant paint. She also did a magnificent cover for DiDi Menendez’s OCHO # 12 (the print arm of MiPOesias magazine) which I guest edited. Holly’s Marie Antoinette art stunned the cover (or was it Madonna who said "Let them eat this cake?!") Check and see. Next I present Amy King, a heartstoppingly stunning poet of the 21st century who is a teacher, Impresario of a poetry series, (readings at Stain Bar in Brooklyn), an editor with MiPOesias Magazine, and a leader in the field of forward motion in poetry. "Amy King blogs from the isle of New York, where she has resided for the past eleven years. Her posts contemplate a quirky range of subjects typically dubbed 'politics, popular culture, philosophy, and poetry,' but those headings do not truly convey her off-center take on the ethos and pathologies of the day." (And she adds) or, if you want something a little more palatable: "Amy King blogs from the isle of New York, where she has resided for the past eleven years. She considers a range of matter in the realm of politics, pop culture, poetry, and philosophy, with a zest that demands your return attention." Amy uses the objects of the world in her poetry to convey details of emotion and meaning. Her invisible bridges within the text are made of intuition, the highest form of art. Poet Karren Alenier adds the critical element and theoretical basis for her own considerable take on the arts, specifically American opera, in her blog. Karren’s blog "The Dressing" is on Scene4 Magazine http://www.scene4.com/karrenlalondealenier/ . Her blog addresses what's underneath the art being examined. "As the Dresser, Alenier pulls out her magnifying glass and her telescope to get different perspectives on opera, theater, concerts, movies, books, and lectures. Her curiosity drives her choices of subject matter and she keeps asking and answering question in her quest to understand the value of what she has experienced poems by contemporary poets that speak to the subject at hand." Karren’s poetry is sassy, original and musical. Her specialty is Gertrude Stein about whom she wrote an opera libretto. Her iconoclastic textbook The Steiny Road to Operadom: The Making of American Operas is a necessary resource for any classroom. She is a tireless worker, a literary citizen, and a pillar in the house of Washington DC Poetry. Karren heads the Word Works, a small press publishing house presenting books and poetry programs since 1977. And now to photography-- where the reigning king of my universe is Dan Murano. He says, "I love landscapes and urban-scapes, street photography, industrial photography, portraits and cats, abstract designs of reflections and shadows and lines, architecture and still life. I classify my work as journalistic/ fine art." By day Dan works for a national newspaper as a photo editor. for its website. However, this is the year we wait for his own beautiful books, combining visual image with poetic image. When he presents a photographed landscape, although no people may be shown, the vibration of human life is always present. His personal sensitivity provides an emotional prosperity to his photos. The material world is his playground. Let me say that photography can be transformed into feeling by the virtue and vision of Dan Murano. Tragedy is just failed humor, one pundit said. And I say that Birdie Jaworski has made humor High Holiday and Tragedy is nowhere to be seen. Humor is one of the noblest of all arts. Her blog is www.birdiejaworski.com. Birdie explains her journey to book, "Four years ago I paid ten bucks to peddle Avon door-to-door. I was thirty-eight years old, a single mother desperate to clothe and feed her two young boys. I started writing stories the week I started selling cosmetics. I don't know why. When people ask, I tell them I wanted to remember my strange customers, the women who hid Latin lovers in their closet, the ones who paid me in pennies and pumpkin bread. But the truth was something different, something I still can't articulate. My heart pumped heavy blood, swollen red cells that carried the weight of collected memory. I had to unload it." She complains "I haven't written much lately-- I've been teaching middle school this year, and my time has been sucked into some kind of exhausting time warp. Blah! I just wanna write! I hope to figure out a way to be a full-time writer this summer. I can do it!" Well I know one 8th grade teacher with a prize winning novel under her belt: Don't Shoot! I'm Just the Avon Lady!, which every member of my family has read (Sorry Birdie, I should have bought 6 instead of passing it around.) My husband immediately put in an Avon order for some makeup for me and the hope that Birdie will write 10 more books. Her blog about being an Avon Lady, with all the mishaps and near calamities, had so many hits Birdie had no choice but to make it into a book. And we are glad she did. After reading this book, we all wanted to sign up for the 8th grade again just to hang out in Birdietime. So these are my favorite peeps on-line... dynamic movers of the earth... and while you are in cyberspace, please check on my poetry programs from the Library of Congress for hour long interviews and poetry commentaries on MiPOradio And while we have your attention, click on www.themontserratreview.com where as editor I review books and theater, because we need to shine light on those who give us back to ourselves via their own lives in print and on stage. And if we don’t, who will? P.S. Madam Mayo says: check out Kathi Wolfe's interview with Grace Cavalieri on "scene4" here. --->For more Madam Mayo guest-blog posts, click here. Up next--- this Friday--- Tom Christensen. 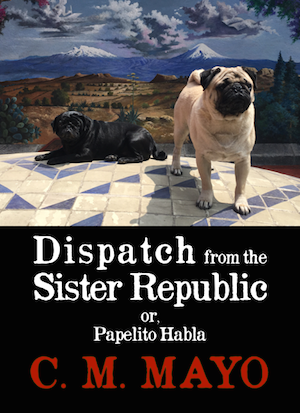 Tameme on National Book Critics Circle Blog, "Critical Mass"
Rigoberto Gonzalez's interview with Yours Truly, about Tameme chapbooks, Agustin Cadena, and Jorge Fernandez Granados, is here. More anon. In honor of National Poetry Month, join poet and translator Yvette Neisser Moreno for her 2nd annual open discussion of the April issue of Poetry magazine, which is devoted to poetry in translation. This is a fantastic and fascinating issue featuring some of the most prominent poets from all over the world, from ancient times to the present, as well as some of the most preeminent translators. Each poem is accompanied by a commentary by the translator, providing a window into the translator's approach and process. Featured poets include Anna Akhmatova, Ovid, and Rilke; translators include Eavan Boland, Robert Bly, Peter Cole, Jonathan Galassi, and Mary Kinzie. If you’re interested in participating, please sign up at Kensington Row Bookshop or contact Yvette at yvettenm@verizon.net. Free copies of the magazine are available for the first 10 people who sign up. (You can also pick it up for $3.75 at most major bookstores in April.) For a sneak peak at the magazine, check out www.poetrymagazine.org Anyone who loves to read and talk about literature and language is encouraged to come, regardless of whether you have any background in the topic! For address and directions, call the bookshop at (301) 949-9416 or go to www.kensingtonrowbookshop.com. And speaking of poetry in translation, be sure to have a look at Tameme's new chapbook, "Los fantasmas del Palacio de los Azulejos / Ghosts of the Palace of Blue Tiles" --- poems by Jorge Fernandez Granados translated by John Oliver Simon. A study of blog readers' behavior found that for many people, checking favorite blogs is part of a routine that they feel compelled to repeat each day. "I don't know if I look forward to" reading blogs, said one participant in the study. "I don't really look forward to cigarettes anymore, but it's something that happens through the course of the day that I feel like I might need to do. It just becomes habit, I guess." What's on my feeds page? More anon. We're very pleased to host two readings this Friday, April 18 as part of the Bethesda Literary Festival: Novelist Thomas Mallon will read from Fellow Travelers at 7:00 p.m. Mallon is the author of seven novels, among them Bandbox, Henry and Clara, and Dewey Defeats Truman. His nonfiction books include A Book of One's Own and Stolen Words. He is a frequent contributor to The New Yorker, The Atlantic Monthly, and other publications. Thomas Mallon's 7 p.m. reading will be followed by a reading at 8:30 p.m. featuring poets who have been major contributors to the literary community: E. Ethelbert Miller;Stanley Plumly; Myra Sklarew. Both Friday evening readings will be followed by receptions and book signings. Free admission. Then join us on Saturday, April, 19 for the Small Press Fair. Meet editors and publishers from regional literary journals and small presses. The Fair runs from 1 to 5 p.m. We'll have our annual $1 a pound used book sale all afternoon. From 2 to 3:30 p.m. Sally Canzoneri will lead a writing and book-making program for children. From 3 to 4:30 p.m. Andy Moursund of the Georgetown Book Shop will give used book appraisals. Bring your treasures for a lively appraisal session, and be sure to visit his new website, www.historicfootballposters.com. Free admission. Madam Mayo says: alas! I wish I could be at the Small Press Festival with Tameme Chapbooks, but I'm out of town. More anon. For those suffering from writer's block, I usually recommend Giant Golden Buddha & 364 more 5 minute writing exercises--- and, lately, poet and visual artist Christine Boyka Kluge's magic "Baby Muse." But there's more! Bounteous, yeasty, mmmmm-more! My DC writing amiga, Paula Whyman, aka Curious Writer, has a website (or is it a blog? check it out) chock-a-block with links to her stories and essays and miscellaneous funny pieces (here's one of my faves), one of which--- which she expands on here--- is about baking for writers. Over to you, Paula. Why bake? No one rejects my work. There's an endpoint in sight, and everyone goes away happy. It's cathartic; I get to slap some dough around, and no one gets hurt. It prevents "page rage" (do I need to explain that?). When I can’t write, I bake. I read about baking, in books and online, and, although I generally hate shopping, who can resist a little cooking p*rn? I shop about baking, too. The best general baking cookbook I’ve ever seen. 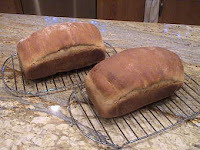 Simple, easy-to-follow recipes, plus information about, for instance, the many types of sugar and how molasses is made. Nutritional information is included with each recipe (no, don’t look!). Not a single bad recipe yet. Favorites include: Molasses cookies, bumbleberry pie, and blueberry cobbler. And a shout out to the King Arthur Flour website where you’ll find some great cooking p*rn (forget Williams-Sonoma, those posers*). I’m the proud owner of a bag of nondiastatic malt powder. Now what? A restaurant supply site (as well as a bricks-and-mortar store in CA) with good prices. I’ve ordered everything from a dough bucket to a cooling rack. They may not have the kitchen sink, but they’ve got the ice machine, if you want it. P.S. From Madam Mayo: On April 23, look for chef/ food writer David Hagedorn's "Chef on Call" column in the Washington Post--- it features Paula Whyman getting a baking lesson from a famous local chef. And For those who want to bake only in their imaginations, Madam Mayo recommends Sara Mansfield Taber's glorious literary travel memoir, Bread of Three Rivers: The Story of a French Loaf. ---> Read more Madam Mayo guest-blog posts here. 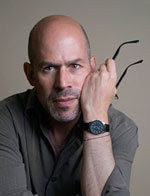 My amigo, Mexico City-based writer David Lida, who has a new, sure-to-be-terrific book coming out on Mexico City--- First Stop in the New World--- has just announced his new website, David Lida: Mostly Mexico City, with a URL of www.davidlida.com. Ojo (and for y'all you do not speak Mexican, that means nota bene): he's got a built-in photo blog about Mexico City that is seriamente chido. And he's scheduled to guest-blog here on Madam Mayo June 25th. Mas anon. 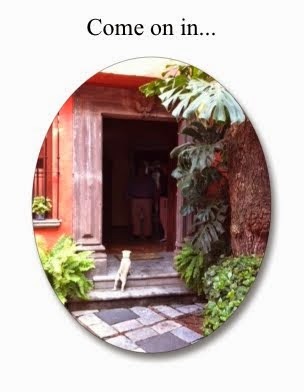 Blog alert: Tepoztlan-based writer Rena Lindstrom just started a blog, "Perra Brava." The King of the Baja Buffs, the one who knows Baja California up, down, and all around--- indeed, in a death-defying feat, he actually walked around its entire coastline--- the one who has seen its almost every nook and rattle-snake-infested cranny, and especially, its loneliest and most dangerous places, and then shared his stories in a multitude of books, most recently, Marooned with Very Little Beer, about two months alone on a 42-mile long island in the Sea of Cortez... OK, I know this is a helluva run-on sentence... it's... drumroll.... Graham Mackintosh! I have, and treasure, all of his books! 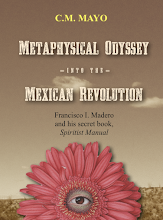 Truly, no bibliography on Baja California can pretend to cover the 20th and 21st centuries without including his works. And, as anyone who has read his books and/or met him can testify, he has a joyous and generous spirit. So it is for me a very special honor to have Graham Mackintosh guest-blogging today. Over to you, Graham. When the New York Times reviewed my first book, I received the incredible accolade that “Graham Mackintosh is not much of a writer, but he makes a great traveling companion.” Ever since, I have absolutely refused to take any steps to improve my writing, and have just concentrated on making my tales as interesting and humorous as possible. 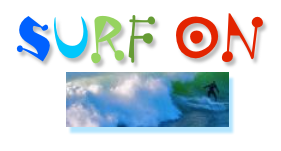 The most comprehensive single Internet source for discussion and opinions about Baja California is perhaps BajaNomad. At its best, Nomad is a wonderful resource; at its worst, it’s replete with knee-jerk negativity. Ironically, when I most need its community opinion, I tend to stay offline. I’m much more productive being “not much of a writer” when I work alone and focus on the experience that I’m trying to convey. Reading that I should be yanked from Baja, thrown in jail, and have all my worthless books trampled underfoot does not seem to help the process. There was such a heated Nomad debate about my last adventure camped on a remote island in the Sea of Cortez, that I included great chunks of the back-and-forth in my new book. It saved me writing whole chapters and was much more entertaining than anything I could have written. I’m just glad I didn’t know the half of it (the hostile half) while I was enjoying my sensitive, thin-skinned experience with the spirits and the wild life on the island. Perhaps because of my Catholic, working class upbringing, I’ve always sought “truth” on a visual and emotional level. And probably because of my propensity for devouring comics as a kid, my deepest thoughts tend to flow as lines, images, and graphics. I have a bit of a distrust for words. Images appeal to my sense of economy. Show me a page of written instructions and I quickly feel lost, whereas one good graphic and I can often see the point instantly. I love to look at the world through Google Images. I’ve spent many happy hours zooming into remote areas of Baja, enjoying volumes of memories, recollecting faces of kindly strangers, simple meals shared on remote beaches, canyons where I camped with my donkey… and occasionally feeling myself called to some new adventure. You can get down and dirty to just about any place on earth, including your own back yard. A good chunk of my literary education has come from Garrison Keillor’s Writer’s Almanac, though I do prefer listening rather than reading. For a slightly different perspective on news and cultural matters, especially how my favorite soccer team is doing back in London, (very poorly by the way; looks like they are going to be relegated from the Premiership) I am fond of visiting the BBC website. Otherwise, my web searching tends to be remarkably scattered. When I need to research a species of rattlesnake that nearly nailed me or some strange kingfisher behavior that I observed, then I’ll worm my way through Google. And before I know it, I’m having a super time delving into Greek mythology or an 1860s article in the American Journal of Medical Sciences, “On the production of cataracts in frogs by the administration of sugar.” I seem to end up everywhere except on sites that might actually help me improve my craft as a writer. For a fifth choice that would be in any way relevant, I had to check to see what web sites were in my recent “favorite places” list. This one, http://www.mexico-herps.com, was very helpful and interesting, lots of nice maps and pictures. No, it’s not about some horrible viral disease, but rather an introduction to the wonderful range of reptiles and amphibians (snakes, lizards, frogs, etc) south of the border. Not comprehensive, but a good beginning. Enjoy. --->For the archive of Madam Mayo's guest-blog posts, click here. Up next Wednesday: Paula Whyman. Soon to be an audio CD--- my short story in the Kenyon Review. For the cover, I'm thinking of something with this blurry photo (taken out a car window) of the Jefferson Monument. Tidal pool cropped out, of course. Here's the background music. More anon. Seth Godin has a nutritious little post on blogging. 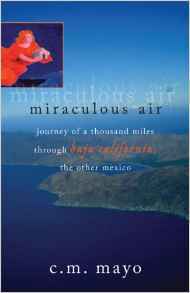 Dawn Marano's "Trusting the Edge"
Dawn Marano, dear friend, editor (the hard-cover edition of my travel memoir, Miraculous Air), fellow writer, and now fellow blogger, is about to embark on her Lake Placid Adventure, that is, compete in the U.S. Adult Figure Skating Competition. At 50 years old, she's geared up with a regimen of pilates, a good supply of arnica, and a solid-gold Zen attitude. It's an endeavor that is both amazing and inspiring, and she's blogging about it now on Trusting the Edge, titled after her memoir of her early years when she skated on TV with, believe it, Donny Osmond. For a long time, academics sat on the sidelines of the public sphere. Sure, there were famous professors like John Kenneth Galbraith--or more recently, Paul Krugman--who had tremendous influence inside the scholarly community and also shaped the public debate. For the most part, however, academics just seemed to do "something else" and we, as a society, had little knowledge of--or interest in--exactly what that was. In recent years, however, a growing number of Ph.D.s--both inside and outside of the university--have begun sharing their expertise with a wider audience on a range of subjects that spans economics, law, political science, even literature. And the way they've done this is through blogs. Interested in trying some creative writing? This Saturday April 5th from 12-3, the Writers Center in Bethesda MD (a hop over the line from DC) is hosting an open house. So come on in, see what the place looks like, have some coffee and cookies, talk to workshop leaders, peruse the book gallery (it may be small but it has what may be the best literary magazine rack outside of New York City). I usually give a one-day literary travel writing workshop once a season--- however, this spring I'm teaching a one-day in "flash fiction" in Mexico City via Dancing Chiva. I'll be back to offer another workshop at the Writers Center this summer. Stay tuned. For full information about the Writers Center, its many workshops and workshop leaders, and the open house, visit www.writer.org More anon. The other day I described this blog as not a diary or log, not a community bulletin board, but a filter. I've also said many times that a blog doesn't have to be this or that; it can be whatever the blogger wants it to be--- a diary, a newsletter, a column, a recipe book, a whole novel.... I recently met with fellow blogger Alice of Alice and Pabu, who posts a little something a couple of times a week in the channeled "voice" of her Tibetan spaniel, Pabu. She's not trying to sell anything--- there's no book, no DVD, etc.--- she does it, as she puts it, as one would plant tulips in the front yard. "You hope other people enjoy them. But they might walk by without noticing. Their dog might pee on them. They might steal them. But most people are happy that you've planted tulips. Anyway, like I said, you do it for yourself." 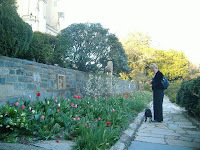 That's Alice's photo of me with my pug, Picadou, admiring some early spring tulips. For anyone interested in the future of book culture, an important post. This post makes me blush, but what the heck! Guest-blogging today is my DC amiga, novelist and fellow-blogger Leslie Pietrzyk. If I just celebrated the second anniversary of my blog, it's thanks to her--- she's the one who urged me, despite my disdainful resistance, to take literary blogs ("litblogs") seriously. One of the questions newbies to the blogging world ask me is, how do you know which blogs to read? Start with the ones I recommend, I always say--- meaning, well, start with the ones someone recommends! Leslie gave me my start by recommending several (click here to read her list of favorite blogs back in 2006). And now she, too, is celebrating the anniversary of her blog, Work in Progress and I do very heartily recommend it. One of the most outstanding litblogs on the Net (on my top 10 list of writers blogs), it focuses on the creative process and all things literary. Over to you, Leslie. My blog, Work in Progress, is a year old, and I have our own dear Madam Mayo to thank for this auspicious event. While I was reading literary blogs for several years, trying to hook others into my obsession, I had never imagined I might actually write one: too much work... too hard to format italics... too much responsibility... too many links. I had plenty of excuses. Then I started reading Madam Mayo, who made blogging seem effortless and fun and an exciting (and necessary) part of the future for writers. Finally, I took the plunge directly from her site, clicking on the innocuous “create blog” in her upper right hand corner, right up there still (you can start a blog, too, right now; that’s how simple it is). And that was a year ago! To celebrate, I’d like to offer my five favorite guest posts over the past year. I’ve enjoyed—and am grateful to everyone who contributed a guest essay during my first year (and I’m always looking for pieces; contact me)--- but these are five posts that I absolutely can’t shake. 1. Liam Callanan, “After Words.” I still get teary when I read this evocative piece filled with yearning of the young and the old, the remembered and the forgotten. 2. Carolyn Parkhurst. I write fiction so I don’t have to deal with the issue of writing directly about people I know and care about. That question is even more complicated here when the story you think you might want to tell is about your own child. 3. Ryan Krausmann. What can I say? This one still makes me laugh. And I’m continuously inspired by Ryan’s story about how he boldly quit his job to spend the summer writing his first novel. 4. Anna Leahy offers excellent suggestions for how to create an effective writing group, a topic that I think is under-covered in the general writing magazines. 5. Katharine Davis, “Letter from Maine.” Kitty writes here about the intersection of art and writing, showing us that writers have much to learn from visual artists. 6. Bonus pick: Check out Madam Mayo’s helpful suggestions about how to get the most out of your writing workshop!